I know… don’t fall over in your chair because I am posting a card on a Tuesday, it’s weird for me too! to create for a challenge that I have been neglecting lately. I love The Friday Mashup and love the colors they chose this week. because I did use Kraft and Gingham which were the requirements this week. Here is the card I got my inspiration from…I like to give credit where credit is due! Here is her blog! She does great work! I used the Stampin Up corner punch to make my tree! Most of the paper is from Creative Memories along with the zig zag piece. The star is a gold sheet of vellum, but it doesn’t look very shiny in the photo. The word PEACE is made with an alphabet set of stamps that I love. 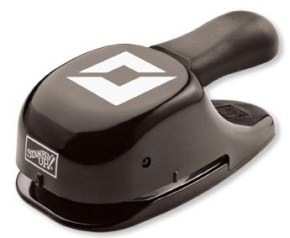 using a stripes SU Embossing Folder. The rest is made with various star punches. Mine is going to be great! My son is coming home tonight! So stoked! 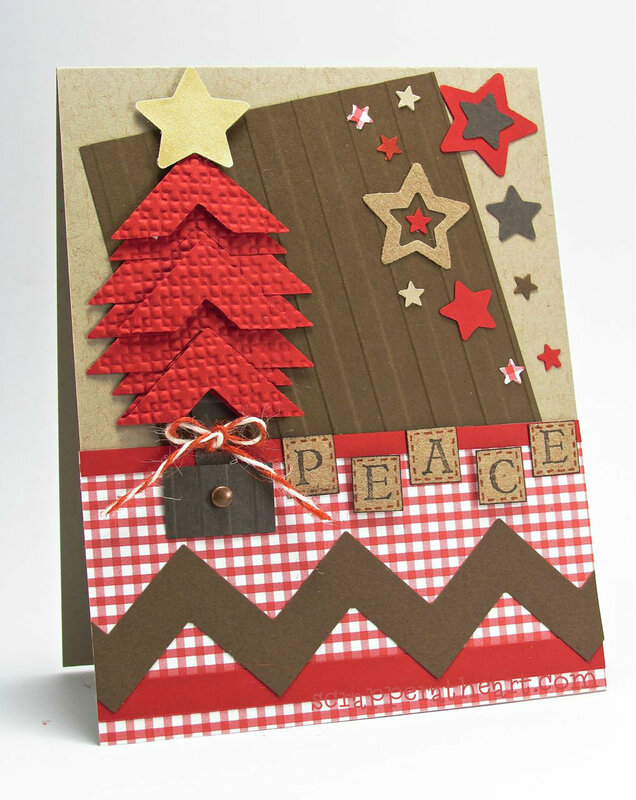 Categories: Cards | Tags: Card making, Cards, Christmas cards, Christmas tree, color challenge, rubber stamps, stamping, Stamping Up | Permalink. This is adorable. I love how you created the tree and the colors are fabulous. Great job. 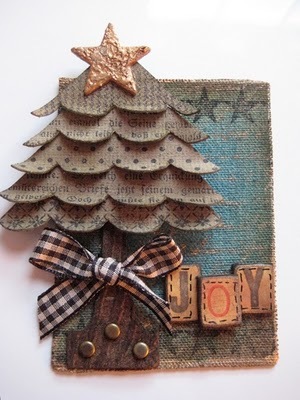 So clever using that punch to create your tree……may have to borrow that idea, wink, wink! 🙂 Enjoy your school break! This is adorable. I love that tree you created and your mix of the colors. Thanks for joining us at The Friday Mashup. You did a great job of using lots of texture. I especially like the Christmas tree. 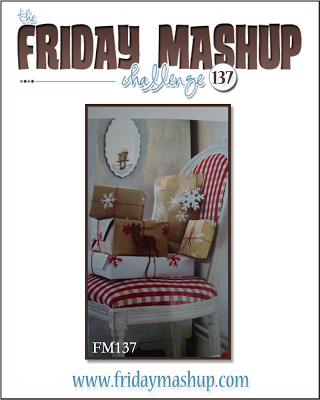 Thanks for playing with The Friday Mashup!! Congratulations!! I think your card is adorable, I plan to use your idea 🙂 Great inspiration.